'Go programming Language' is quite a newly developed programming language created at Google few years back. The human minds behind this superior innovation are Robert Griesemer, Rob Pike and Ken Thompson. 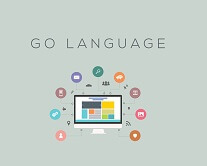 'Go programming language' is a complied statically typed language which has been formed in the tradition of Algol and C with features like garbage collection, limited structural typing, memory safety and CSP style concurrent programming. In simple terms, this programming language is an open source that makes it easy to build some simple and efficient soft ware. The Go programming language has a wide spectrum for multiple uses. Along with web programming it is also used in mobile programming and system programming and even in robotics. In software development, Java is considered to be the most effective programming language but in the recent times, Go Programming Language has become more effective and is working well in creating better and productive software. Applications like Google wave works best with Go Programming. In the recent years, most computer technocrats are going 'Go' for some better and prolific end result.